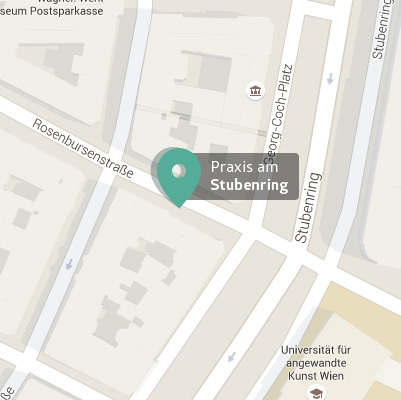 Services at Praxis am Stubenring: 32 medical disciplines! In our clinic it is very important to us, to cultivate a relaxed atmosphere, to take time to listen carefully and to offer a multidisciplinary, tailor-made diagnostic and therapeutic concept out of various medical specialties – also including alternative medicine – according to your medical needs and after the latest international guidelines. Appointments for consultations, house visits and admissions in the hospitals, we collaborate with, can be offered every day. All doctors and therapists speak German and English fluently. If required and for your comfort, interpreters for other languages can be organized. 32 disciplines out of the main medical fields. We make sure that you stay healthy, fit and vital. So you can enjoy your life longer actively! Consult our Team for your appointments and requests!